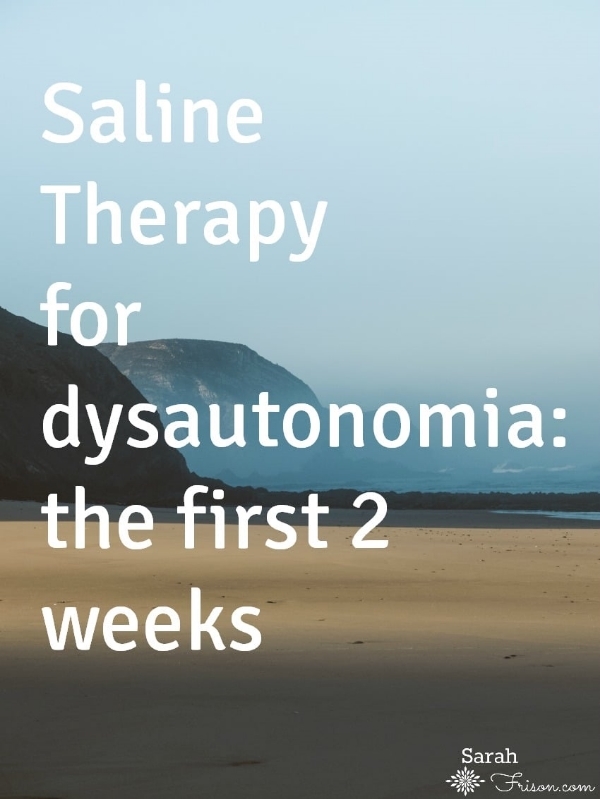 If you know me you might have heard that I was recently diagnosed with something called dysautonomia. POTS or (here we go) 'Postural Orthostatic Tachycardia Syndrome' to be exact. The good news is that, unlike my previous diagnoses, there actually are treatment options available. 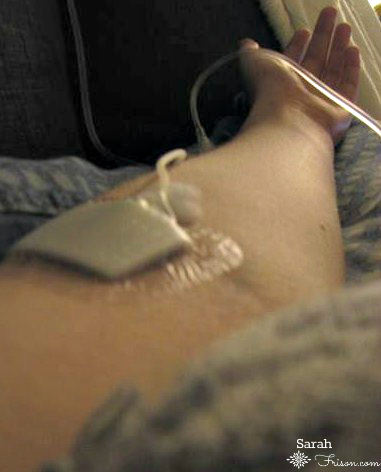 It's pretty much giving a liter of saline through an IV over a couple of hours, sometimes vitamins are added as well. Research has shown it helps dysautonomia patients with low blood pressure, heart rate fluctuations, and hydration. I asked my PCP and he agreed it was worth a shot. I'm getting one liter a week, for now. He comes over to hook me up and I take out the needle myself (go me!). My stomach was upset for about 24 hours after, I'm not sure if that's related or just a coincidence. I've noticed that I do feel better for several days after the IV. My blood pressure doesn't drop as much either. I have fickle veins so my doctor decided to use a butterfly needle. The second time around it hurt a lot because it's a real needle whereas normal infusion needles are a bit of plastic. We might give a normal IV needle a go next time. For now, I can't cook when I'm getting the iv, so I'm figuring out what gastroparesis-friendly foods I can have for dinner that only require one arm. It's not a permanent fix (after all you do pee out the saline after a while) but for now it's helping me feel better and that's worth quite a bit.